Get set for a ‘belter’ of a February. The WBC has a terrific schedule of fights this month which promises quality competitive action. Nigerian Durodola and the Russian Vlasov will be facing off on the 3rd February. Taking place at the Bolshoy Ice Dome in Russia for the vacant silver WBC title in the cruiserweight division, Durodola is seeking the opportunity to recover the title he won by defeating Dmitry Kudryashov in 2015, but then lost in his first defence against Mairis Briedis. However, the Russian is a dangerous rival who has a record of 41 wins, 24 knockouts and only two defeats. Also on the 3rd February, this time in Mexico City, the WBC super flyweight female champion, Lupita Martinez, has stated that the fabled Green and Gold Belt will most certainly return home with her because it’s the pride and joy of herself, her son and her daughter. However, Irma Garcia is going to give her absolute all to be crowned as champion of the body that she admires the most, the WBC. The Budokan Arena in the city of Naha in Japan will be the host of a war between Mexico and Japan, where the power punching, unbeaten champion, will make the second defence of his crown, this time against former world champion Moisés Fuentes. This clash has a high expectation of a knockout, as Fuentes wants to avenge the stoppage he suffered by Kosei Tanaka. However, Daigo is no pushover having battled his way to become the undefeated world champion, with a 100% KO ratio! In mid-February (17th), the Uruguayan, Gabriela Bouvier, returns to Mexico City to fight Mariana Juarez for the third time. These fighters clashed in May 2011 and then collided again in October of the same year for the WBC flyweight title. On both occasions, Gabriela was defeated. 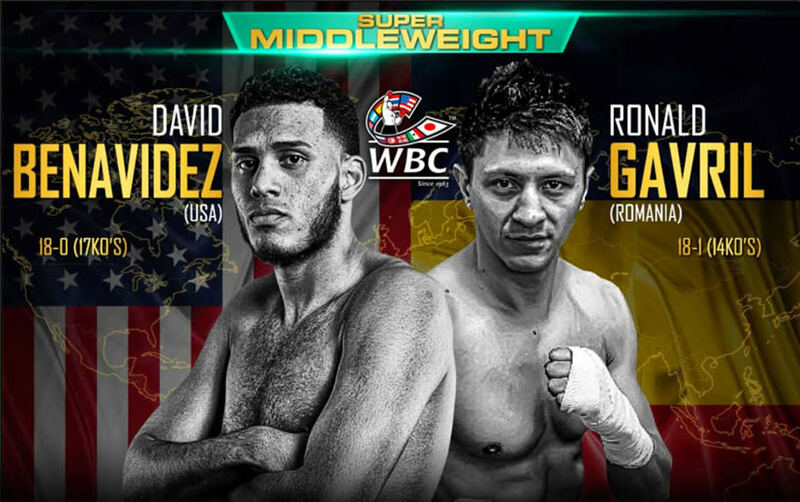 The undefeated WBC super middleweight champion, David Benavidez, has been crystal clear that on February 17th in Nevada there won’t be the slightest doubt of who is the champion, and he’s even confidently predicting that this bout will not go the whole distance. It’ll be the rematch of the exciting fight they had last September, where Benavidez defeated Ronald Gavril via a split decision. On the 17th February in Mandalay Bay Nevada, Danny Garcia will fight Brandon Rios, which is an eliminatory fight placing the winner just one short step away from a title opportunity. Danny comes from losing his unbeaten record in his last fight against Keith Thurman which means he needs to give everything he’s got versus Brandon. Brandon is trying to convince his detractors that he still has the punching power to return to the elite of boxing. This is set to be one of most interesting fights of the year on February the 24th in California. 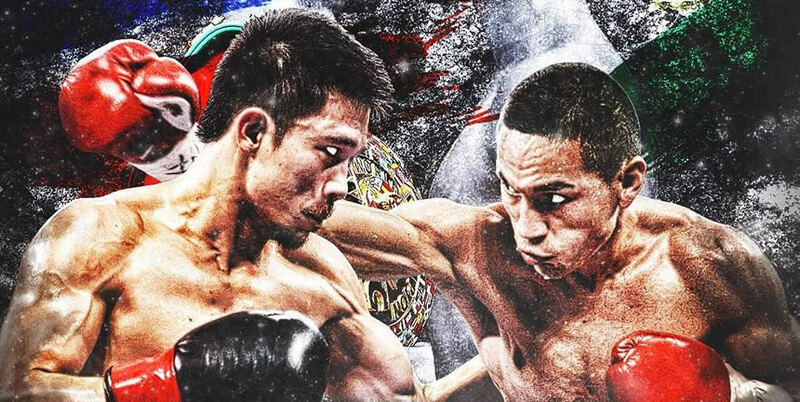 The WBC super flyweight champion, Srisaket Sor Rungvisai, has put in some amazing performances that have placed him as one of the very best pound for pound fighters of today. Juan Francisco Estrada arrives as an absolute menace, with the slick skills and experience of a former world champion. Another encounter between Mexico and Puerto Rico, Cuadras against Arroyo at the Inglewood Forum in California on February 24. Cuadras, who now trains with the famed coach, Abel Sanchez, has been very clear in saying that this year he will recover the green and gold laurels. However, McWilliams Arroyo comes into this fight with the firm conviction to bounce straight back from the defeat he suffered in April 2016 by Roman González. The Nürnberger Arena in Germany will be the scene of a great fight on February 24th. The event is the semi-final of the World Boxing Super Series in the super middleweight division between the undefeated Callum Smith and Juergen Braehmer. Callum, aged 27, is confident of defeating the German, who is twelve years his senior. Juergen comes with a record of 49 fights, with just three defeats, plus the firm intention to demonstrate that his experience will be a determining factor to ensure his place in the great final of this amazing championship.